The Green Talents 2018 have been selected by a high-ranking jury of renowned German experts. 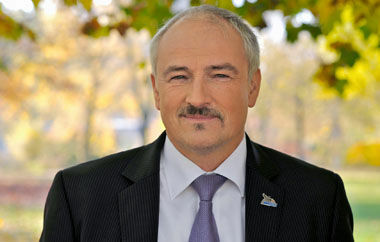 Olaf Tschimpke is one of these experts and member of the Green Talents jury in 2018 and President of the Nature and Biodiversity Conservation Union (NABU) and Deputy Chairman of the Council for Sustainable Development (RNE) of the German Federal Government. After this year’s jury decision, the Green Talents turned to Mr Tschimpke with questions about sustainability and the Green Talents Competition. Welcome Mr Tschimpke and thank you very much for being part of the Green Talents jury. First of all, we would like to know what has been the “breaking news” for you in the field of sustainability in 2018? The breaking news was the information about the loss of 75 percent of the total flying insect biomass. This fact impacts life in different manner. Moreover, it is a wake-up call for society. NABU is constantly working toward the promotion of sustainability and the conservation of nature. What would you consider the important area or topic for the sake of securing our planet for future generations? The most important things are the implementation of the SDGs, stopping both climate change and the loss of biodiversity while reducing the consumption of resources, as well as establishing a circular economy. NABU has about 37000 volunteers actively involved in nature conservation work. What is the strongest motivation for these people to support your work? They see how their environment, the nature around them, is changing dramatically. Their answer is that everybody can do plenty of things to impact this issue. To successfully promote sustainability, a close interaction between politics, economy, civil society, and research is needed. How would you rate this interaction in Germany and what could be improved? Even though we have a big dispute on sustainability, there is a lack of action via politics, the economy and society. …there is no Planet B. In your opinion, what makes the Green Talents Competition special and where is the difference compared to other competitions? The Green Talents Competition addresses the Future; the Talents are the solution for a sustainable world. What induced you to accept the request to become a jury member of the Green Talents Competition in 2018? The work as the NABU President and the deputy chairman of the RNE includes the necessity to support scientific approaches to global challenges and to support young scientists in this field. Which aspect impressed you the most during the selection process of the Green Talents awardees 2018? The broad topics of interests of the young scientists. Assuming you were selected as a Green Talent, which expert would you choose for your one-on-one interview and which topics would you discuss? 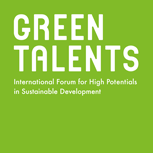 Even though I’m a bit too old to be a Green Talent, there are numerous interesting scientists like Prof. Michael Succow, Prof. Hartmut Vogtmann, Prof. Pavan Sukhdev. Is there any special advice you would like to give our Green Talents? Be well-adjusted, engaged with nature and join an environmental organization. Thank you very much for your time, Mr Tschimpke!